WINFIELD, Ind. 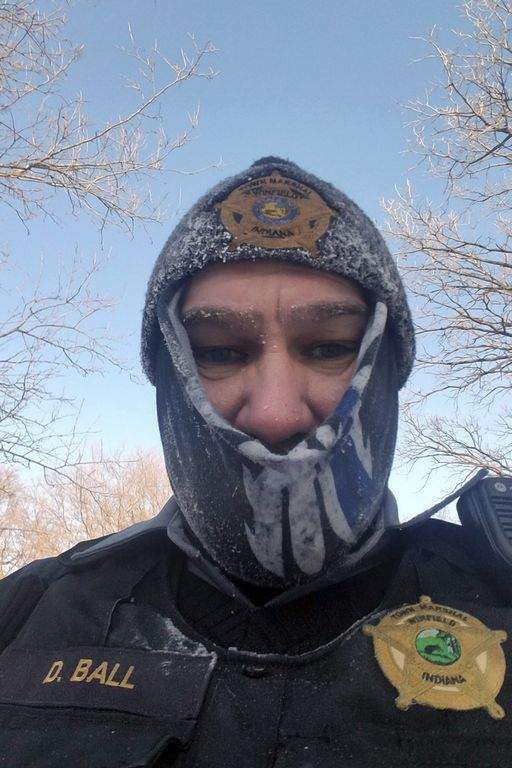 – A horse that became stuck between two tree trunks in northern Indiana amid subzero cold was rescued by a chainsaw-wielding town marshal. 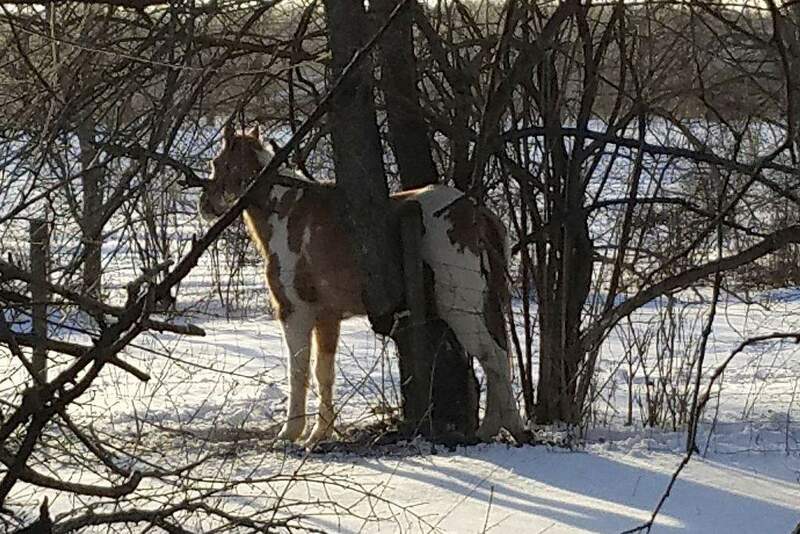 Winfield Town Marshal Dan Ball arrived at the scene Wednesday morning to find the horse wedged between the trunks of multi-trunked tree in the town about 15 miles south of Gary. He tells The (Northwest Indiana) Times he feared the horse might die because it collapsed at one point and was growing weak amid temperatures hovering near minus 20 degrees (minus 28 Celsius). But when a neighbor brought a chainsaw to the scene, Ball braved the frigid readings for 45 minutes to cut away branches until the horse was able to pull itself free. The horse then managed to walk back to its barn and get its breakfast.